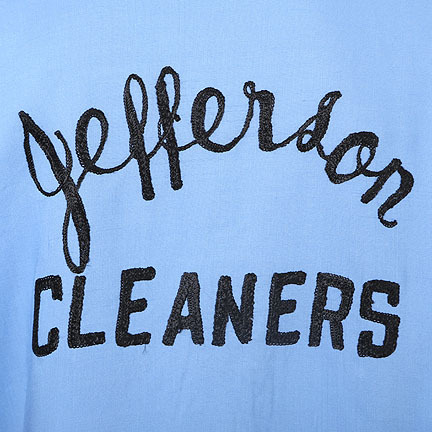 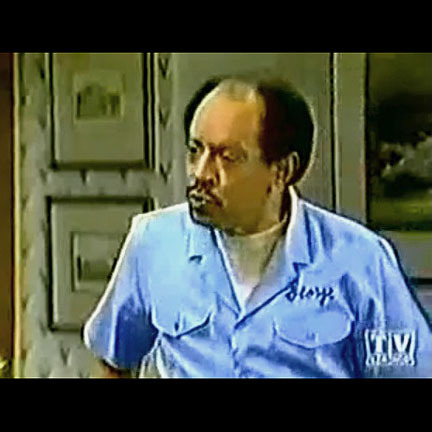 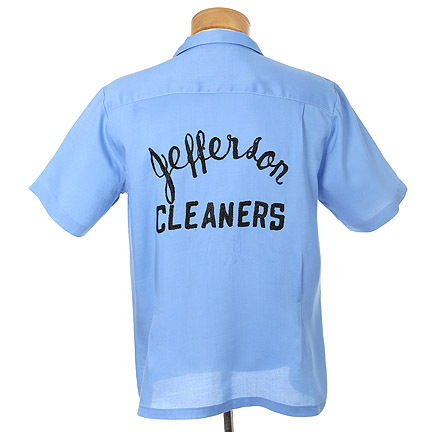 This shirt was worn by “George Jefferson”, portrayed by actor Sherman Hemsley in the television series “The Jeffersons”. 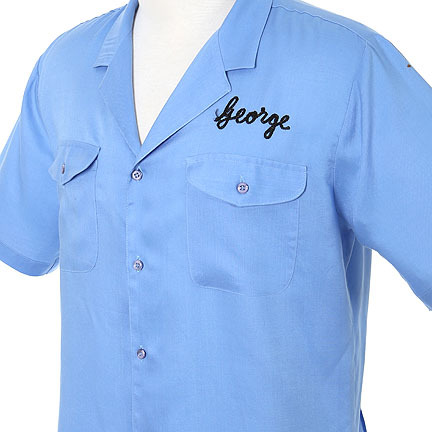 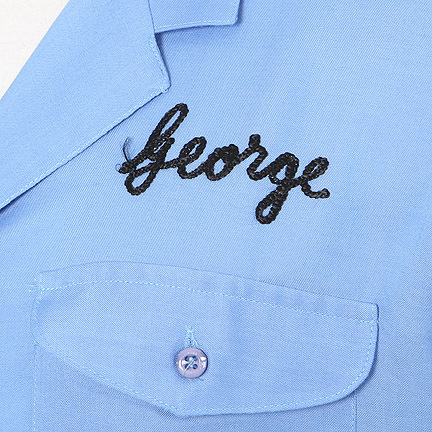 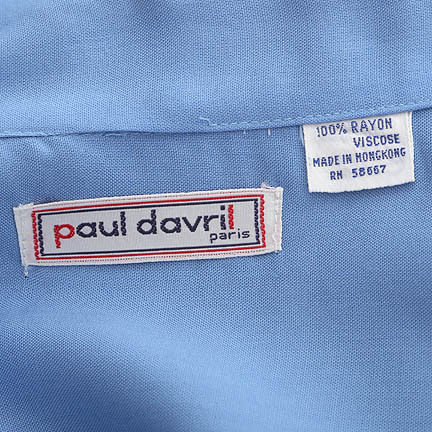 This personalized blue bowling shirt includes a Paul Davril label on the inside collar, the character’s name “George” embroidered in black above the left breast pocket, as well as “Jefferson Cleaners” embroidered on the verso. 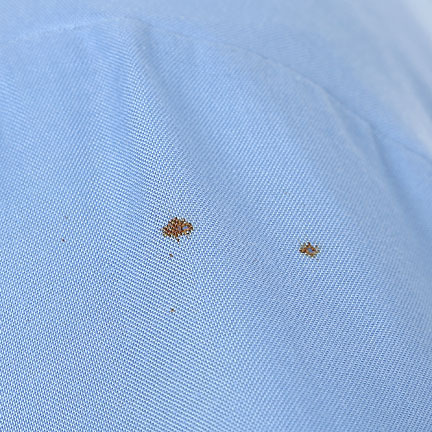 There is a small rust stain on the left sleeve from storage. 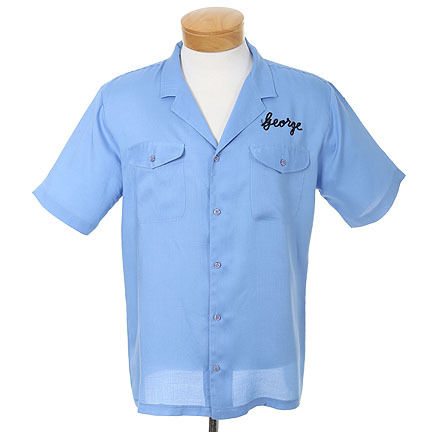 Ms. Hemsley can be seen wearing this shirt throughout the episode “Alley Oops” (Season 7, Episode 12) as George brings Tom (Franklin Cover) onto his bowling team in order to compete in the tournament. 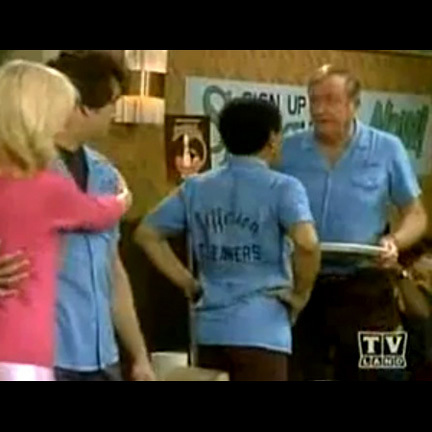 At the bowling alley, George learns that Tom has no bowling skills and they seem doomed to lose. 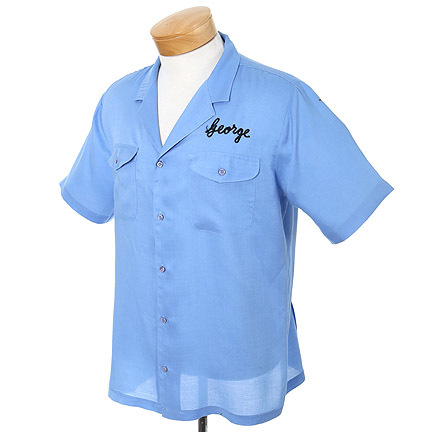 The shirt is also worn in the episode “Father’s Day” (Season 9 Episode 21) when George and Darren (Dain Turner) return home after winning the Father-Son bowling tournament. 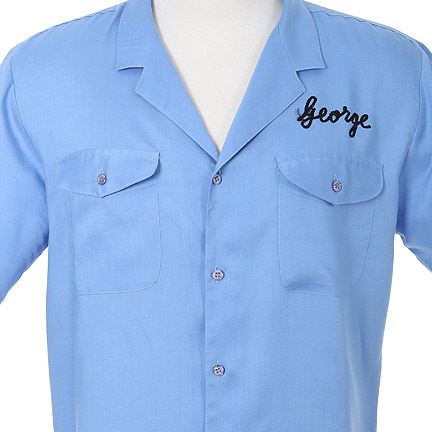 George had agreed to bowl with Darren in the tournament assuming he had no living father. 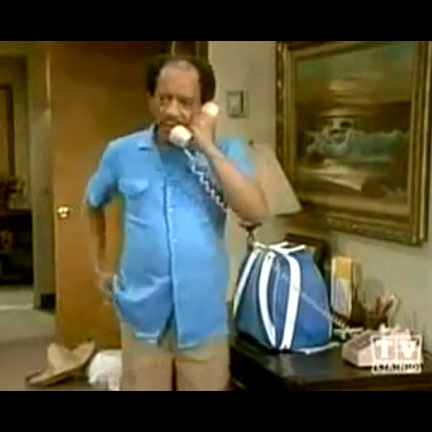 However, Darren’s father is revealed to be in a wheelchair and this prompts George to speak with Darren, encouraging him to give his disabled father an equal chance.